At The Silo, we offer the perfect combination of expert service and quality ingredients. Because we are committed to making every aspect of your event a complete success, we understand that when it comes to catering, one size definitely does not fit all. The Silo is dedicated to helping you customize every aspect of your event to perfection. 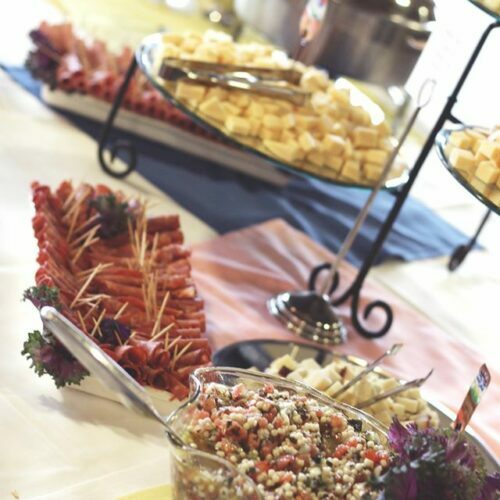 We offer the complete catering experience Hors D' Oeuvres to Cocktails and everything in between. Need wait staff? We can do that too! The best parties are the ones where you don’t have to lift a finger - well maybe just one finger - pick up the phone and call us to see how we can help create a memorable and stress free evening of enjoyment for you and your guests! For those special celebrations that require a little something extra, The Silo can also provide Fully Catered Bar Service. Our liquor license allows us to provide any combination of beer, wine and soft drinks. Food is picked up hot and ready at The Silo on the date needed. All necessary pans and utensils are disposable with nothing to be returned. A 10% service charge applies. Food is delivered within our delivery area hot and ready. All necessary pans and utensils are disposable with nothing needing to be returned. An 20% service charge applies for Delivery Service. 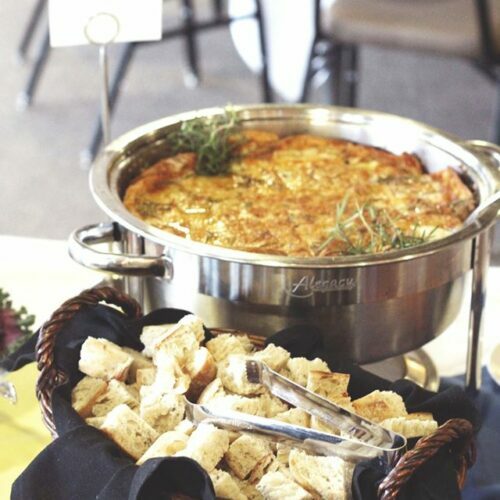 With our off site full buffet service, our experienced and knowledgeable catering staff will deliver, set up and replenish your food throughout the serving time. Typical serving time is 1 1/2 hours. Please call for pricing. All Prices Are Subject to Change. 20% Service Fee and Michigan Sales Tax of 6% added to all orders.